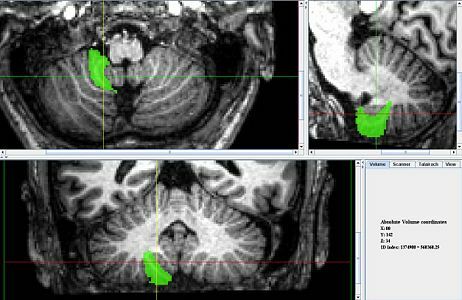 "Scoops" around the tonsils (hemispheric lobule IX). This can be most appreciated in the sagittal view. See the two middle images below. Description: can be identified as the lobule that curves around lobule IX. 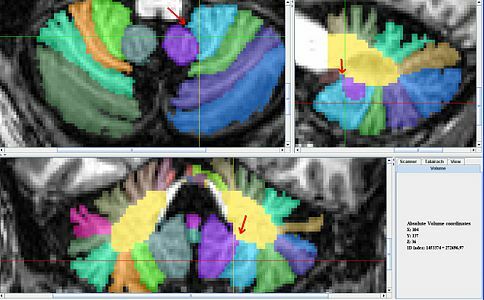 Notice how this lobule is not located in the midsagittal. This page was last modified on 27 February 2012, at 12:04.